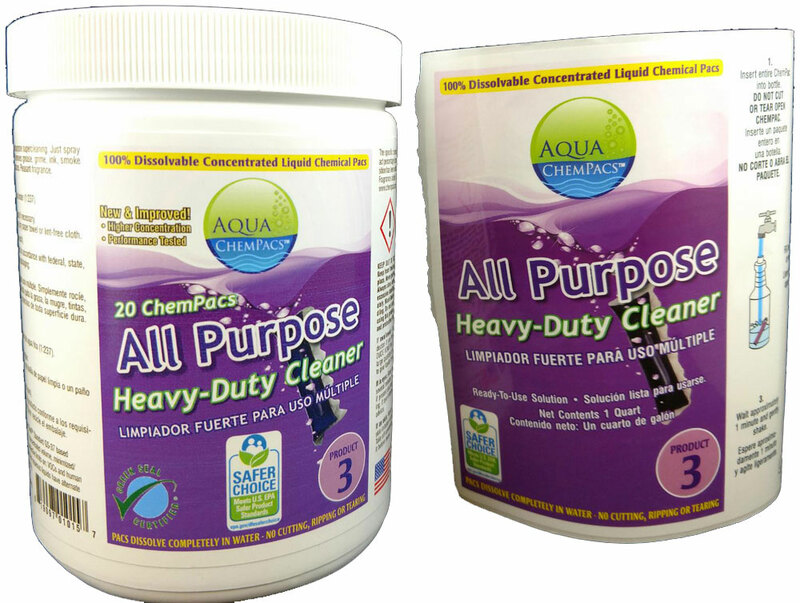 Super clean your hard surfaces with the Aqua Chempac heavy duty all purpose cleaner. This product is non aerosal and ready to use. 6 pack will make 6 quarts. This heavy duty all purpose cleaner will get rid of stains, grime, ink, grease and many more on all hard surfaces. This cleaner comes in a 20 pack jar which will make 20 quarts. Wash and shine your vehicles with Aqua Chempac Car and Truck Wash. This is great on all finishes and will remove dirt, grease, insects and road films. Availble in 4 packs. 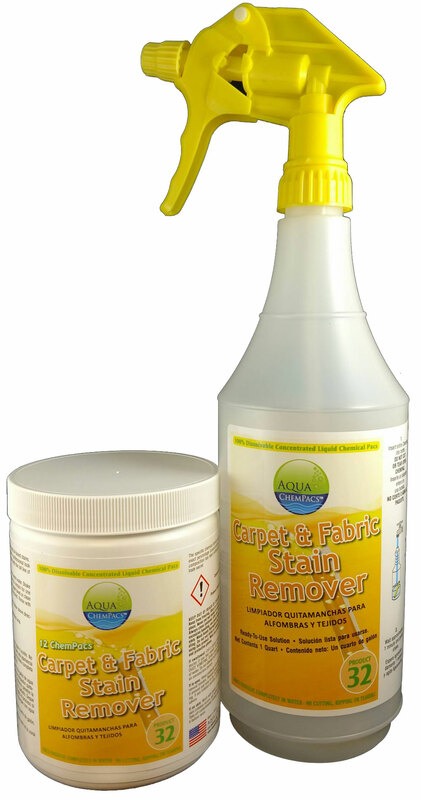 .Eliminate water and oil based stains with Aqua Chempacs carpet cleaning kit. This kit includes 12 pacs and a spray bottle making 6 quarts. 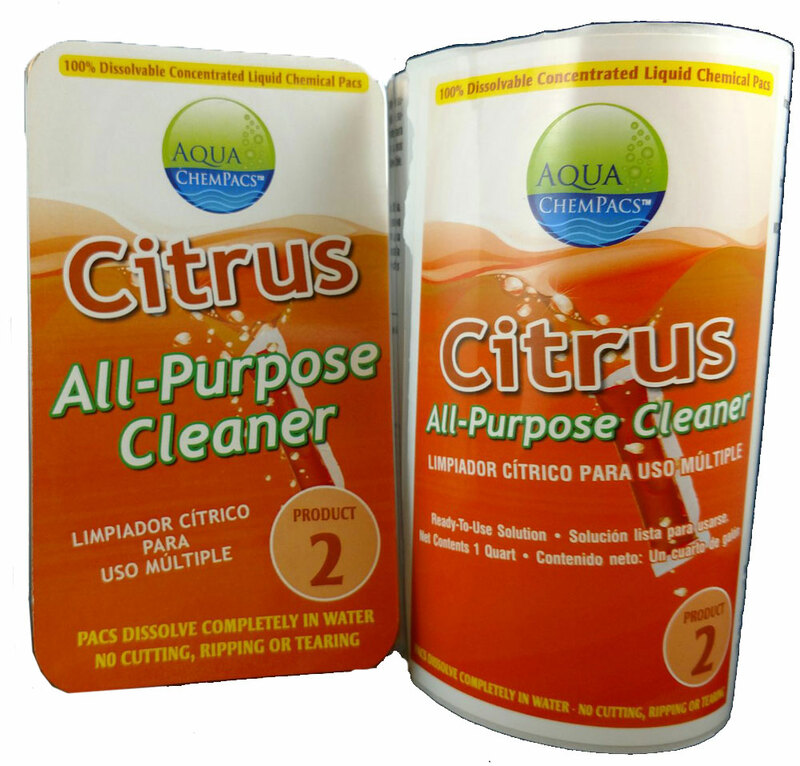 The citrus all purpose cleaner is great for use on floors, walls, counters and painted areas. It will leave a fresh oranges scent. The citrus all purpose comes in 20 packs. 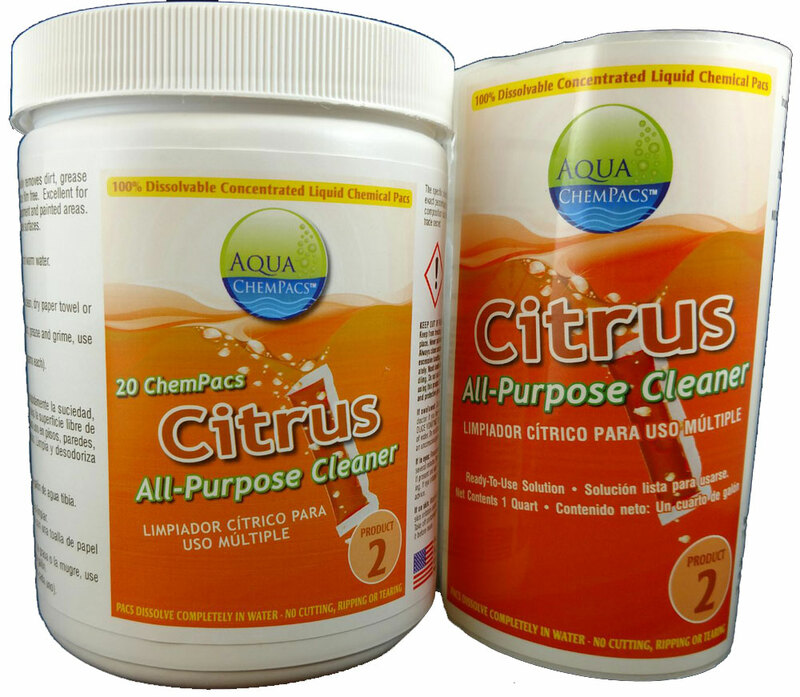 Clean your floor surfaces, wall surfaces, counters and equipment's with this all purpose cleaner. It will deodorize your surfaces leaving a refreshing citrus scent. This comes with 6 packs and will make 6 quarts. 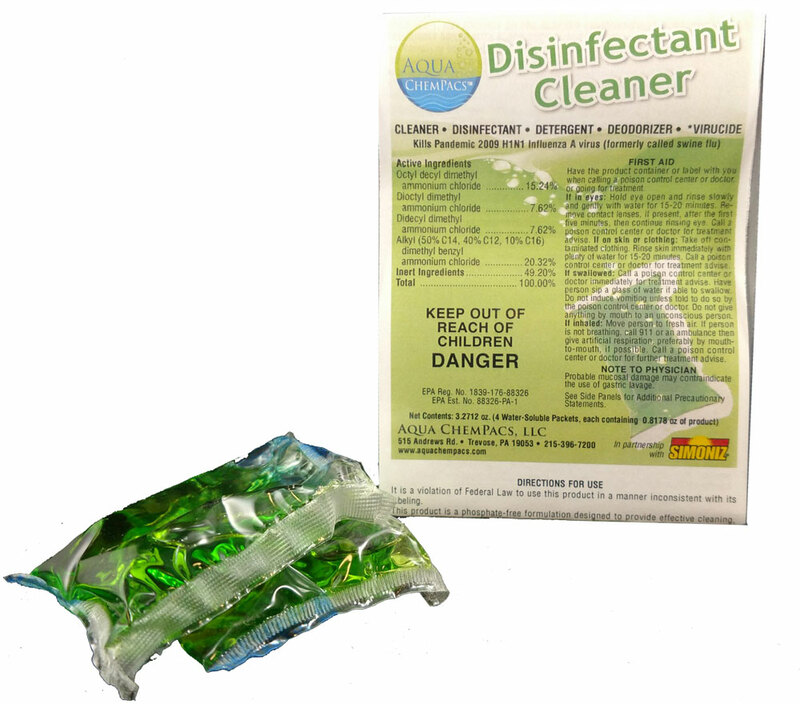 .Disinfect your home or public places such as hotels, restaurants and schools. Great on many surfaces such as glazed ceramic tiles, glazed porcelain, bath tubs, bathrooms and many more. This 20 pack jar will make 20 quarts. 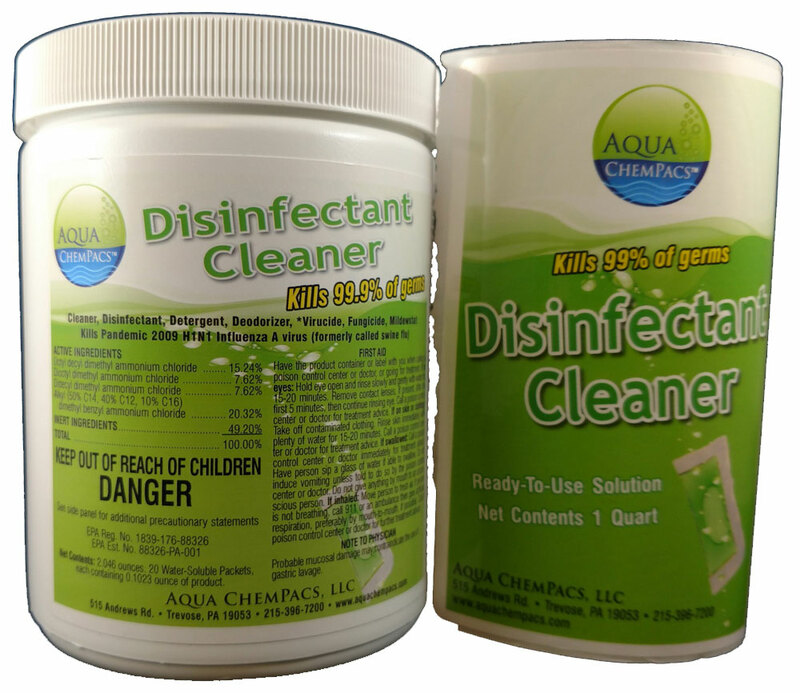 Disinfect surfaces such as metal, cabinets, floors, walls, platstic, shower room, bathrooms and many more with this Aqua Chempac disinfectant. 4 packs will make 4 quarts. 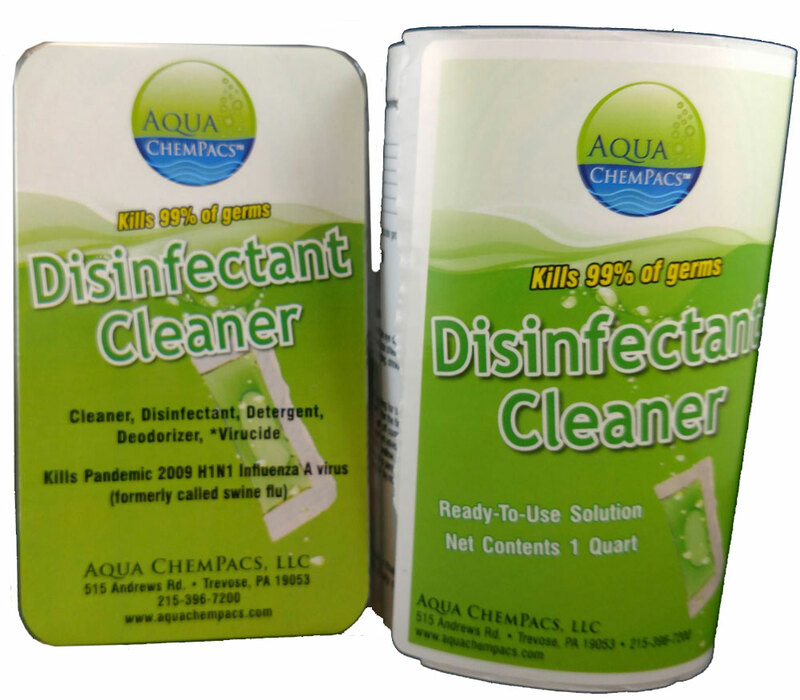 Deodorize and disinfect your spaces with the Aqua Chempac Disinfectant cleaner. This disinfectant is excellent for a variety of surfaces. Non Areosal, no phosphate and formulated with a neutral PH that will not dull high gloss finishes. Removes akaline residues, ice melt salt compounds, lime deposits and hard water stains. 50 pacs in a tub. Flooraid+ is great on your hard surface floors such as natural stone, laminate, vinyl and tile. This is the 64 oz refill bottle. Non-Toxic floor cleaner is green and safe for the environment. This hard surface floor care product can be used on most hard surfaces. 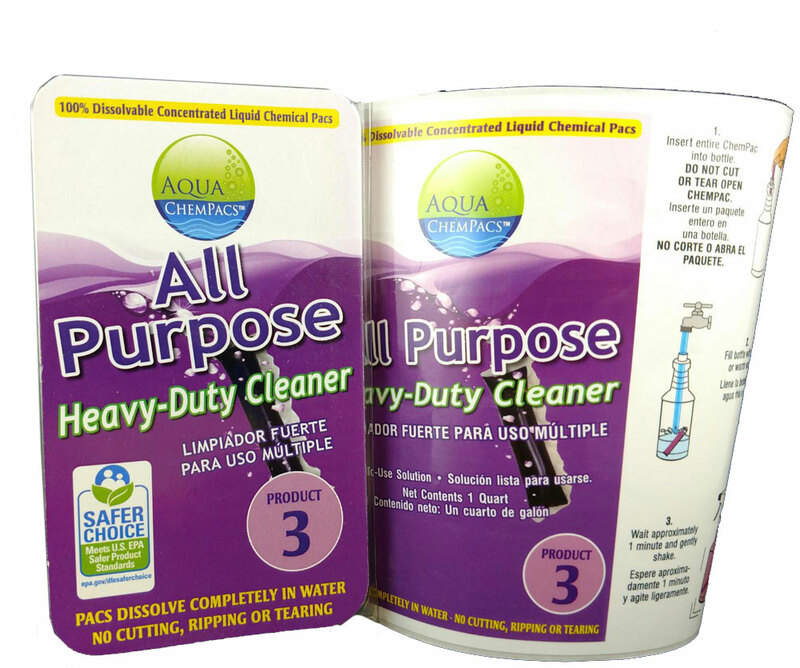 Non-Toxic floor cleaner is made in America and comes in a ready to use 24 oz trigger spray bottle. 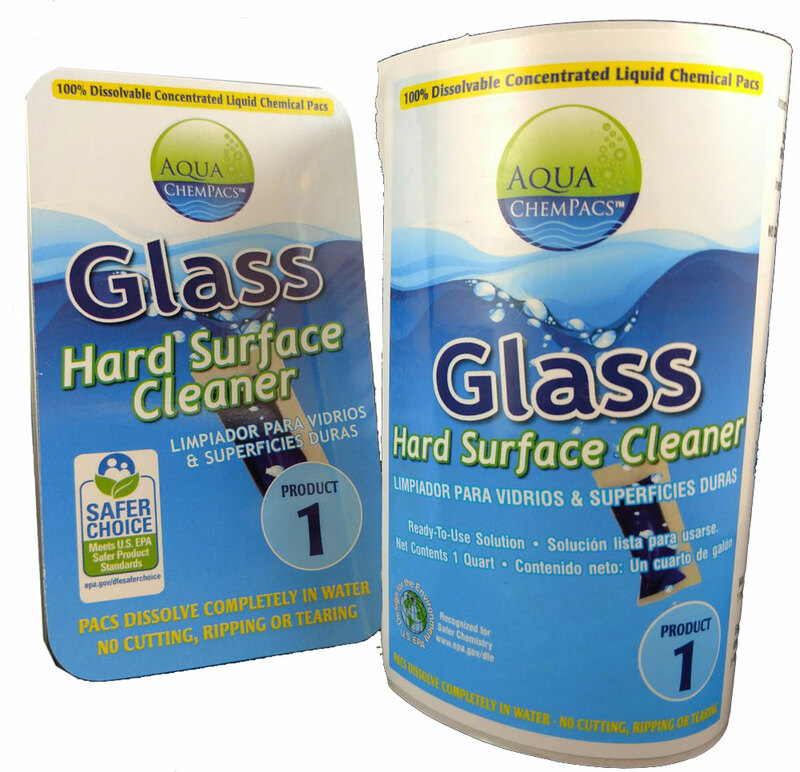 Remove those fingerprints, smears and films with the Aqua Chempac glass and hard surface cleaner. This will make 20 quarts of cleaner. 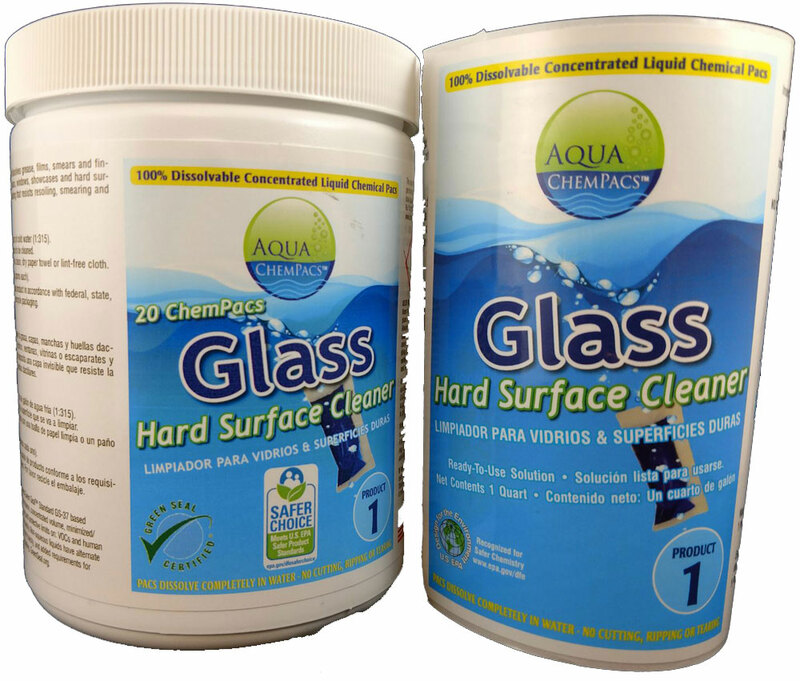 Clean your windows, glasses and hard surfaces with the Aqua Chempac glass and hard surface concentrate. This comes in a 6 pack that makes 6 quarts. Our Gundlach Calcium Blocker will prevent efflorescence and calcium deposits from forming on your grout and tile. Purchase this 32 oz spray to protect your surfaces from this problem. Formula is ready to use and does not require dilution. Need to clean dirt or traffic soil off your floors. This heavy duty floor cleaner can be used as a daily cleaner, but effective enough for more soiled areas at a stronger dilutions. They are easy to use, non aerosol and phosphate free. Specifically for high gloss floors this concentrated neutral floor cleaner will clean dirt and grime without ruining your floors original finish. Just add water and you are ready to use! 20 pacs will make 20 quarts of cleaner. Prevent soap scums and hard water build up with our OMNI Concentrated Cleaner. Excellent everyday Cleaner with Proprietary Surfactants. Approx. 5,000 - 10,000 square ft. per 70 ounces. OMNI Deep Cleaner comes in a 32 oz Spray bottle. It is a stong, yet safe, multi-purpose everyday spray cleaner. Prepares grout joints for the application of Grout recoloring sealer and grout sealer. OMNI Ellite cleaner is great for getting rid of stains and residues. This cleaner has a thick, creamy consistency and a fresh long lasting rosemary scent. Effective for interior and exterior applications. Need to remove Algae, Grout release, Mold & Mildew, Soap Scums, Waxes, Grease and Ground in Dirt & Soil use OMNI Heavy Duty Cleaner. This Cleaner comesin a 70 oz Bottle covering approx. 75 to 10,000 sq. ft. per 70 oz. QuickStep cleaner by Performance Accessories is the perfect choice for your QuickStep floors. Made in the USA! 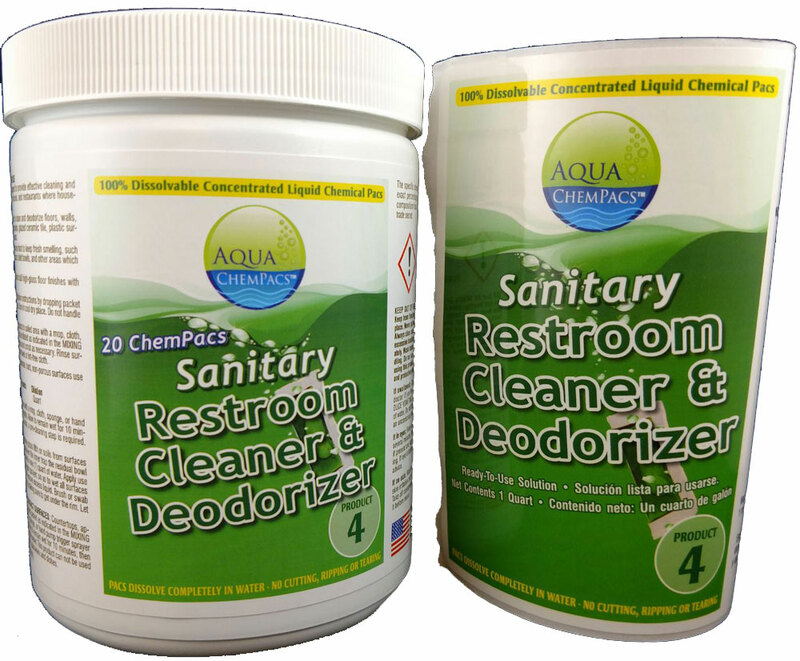 Ideal to clean and deodorize hospitals, nursing homes, schools, restaurants and public areas where sanitation is important. This cleaner is suitable for a variety of surfaces that will not dull their finishes. Excellent to disinfect a variety of surfaces such as glazed ceramic tiles, plastic surfaces, shower stalls, glazed porcelain, bath tubs, cabinets and many more. 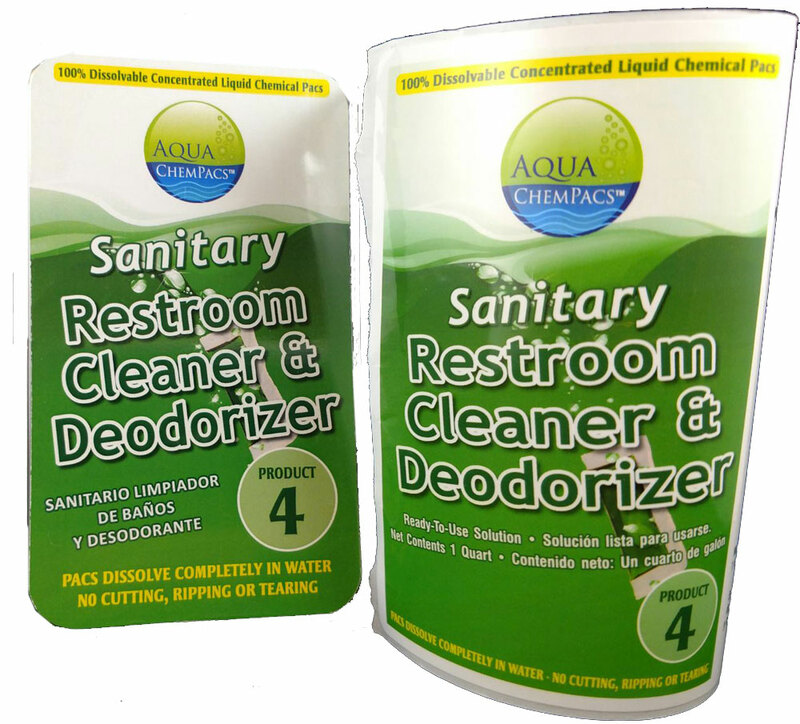 Sanitary restroom cleaner and deodorizer was formulated to thoroughly clean public areas where sanitation is a number one priorty such as hospitals, restaurants and schools. .The tration plus bath treatment is safe on most bath surfaces such as porcelain, syntetic resin, fiberglass and ceramic tiles. This comes in a 8 oz bottle that will treat one whole tub or shower bottom. 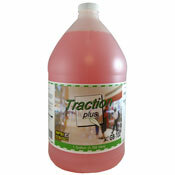 Traction Plus Daily Cleaner will penetrate your floors getting rid of the slippery film that is caused by dirt and grease build up. Use this product to bring back the slip resistance to your floors while making them look brand new! This contains NO soap so you don't have to worry about any hazy buildup. Traction Plus Green Building Cleaner and Maintainer is a great way to clean and get back the slip resistance of your floors in an eco friendly way! This product is biodegradable and contains no harsh chemicals.